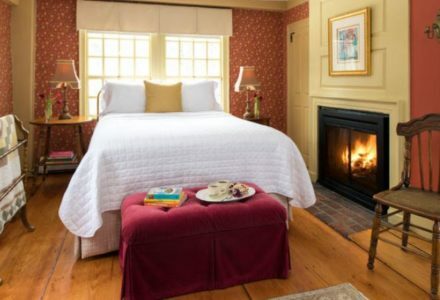 The Colonial style Waldo Emerson Inn is located in the National Historic District of Kennebunk. 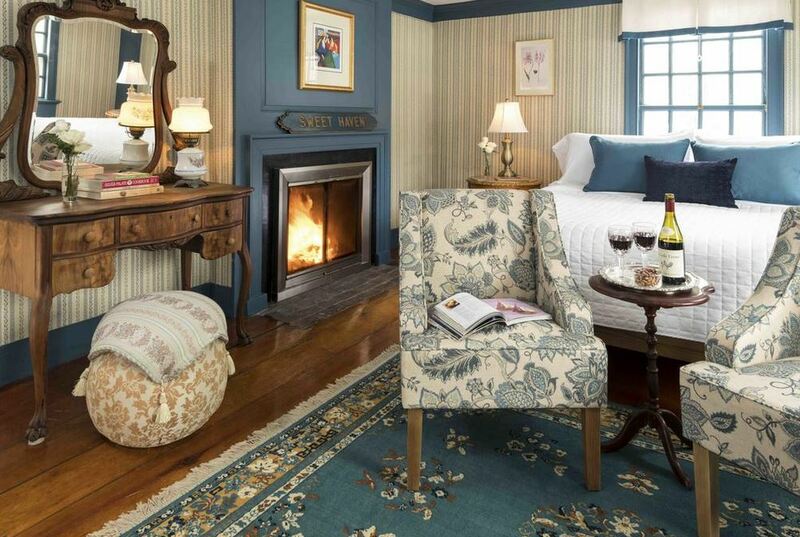 A quiet retreat midway between the hustle and bustle of Dock Square in Kennebunkport and Main Street in Kennebunk. 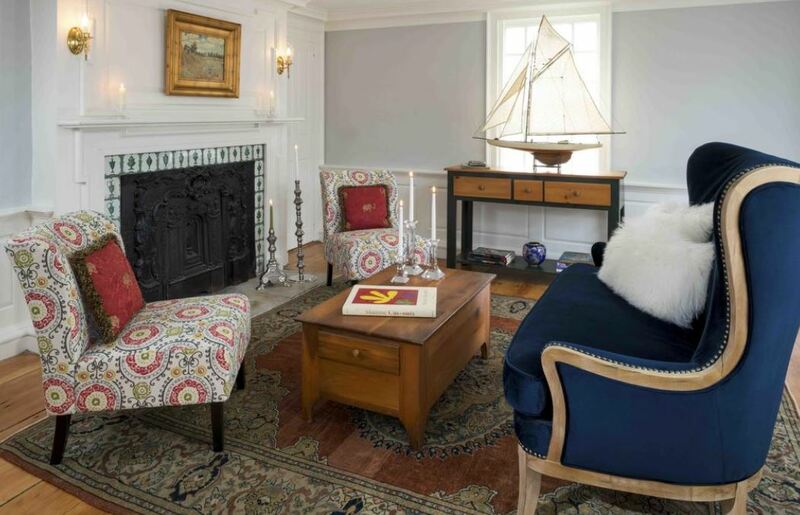 A restored shipbuilder's manse offering all the modern amenities for the discerning traveler, including cozy fireplaces for a relaxing romantic getaway. 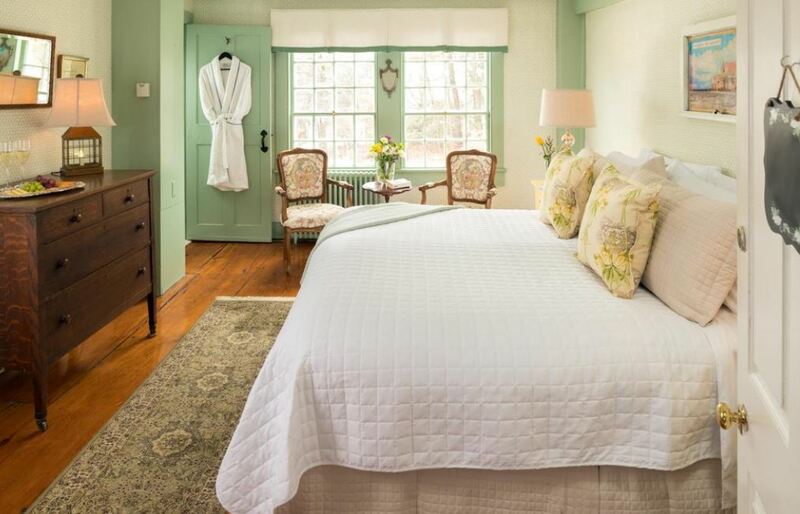 Recently renovated, it boasts historical charm with elegant whimsy. 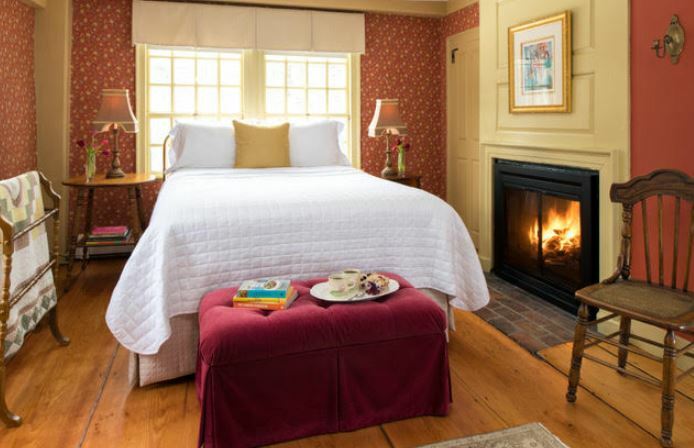 Let us pamper you with our gourmet breakfast and warm hospitality. 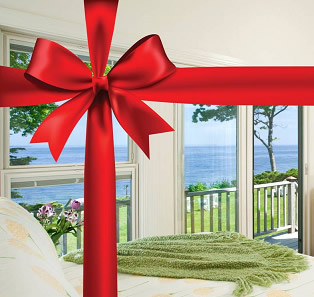 Open year round, to accommodate visitors who enjoy the many activities and attractions the Kennebunks offer during all four seasons. 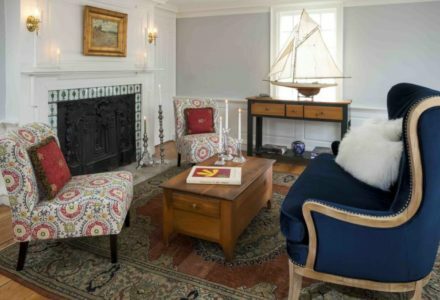 Built in 1753 by Waldo Emerson, great uncle to famed poet and essayist Ralph Waldo Emerson, the manse later became the home of prominent area shipbuilders. 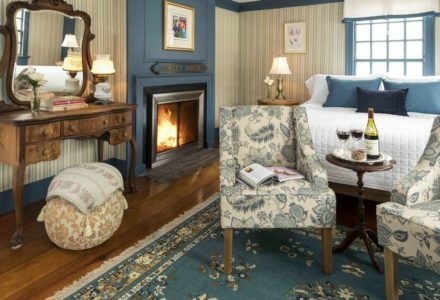 The shipbuilding legacy is seen throughout the inn, specifically in the King Pine floors featured in all six guest rooms. 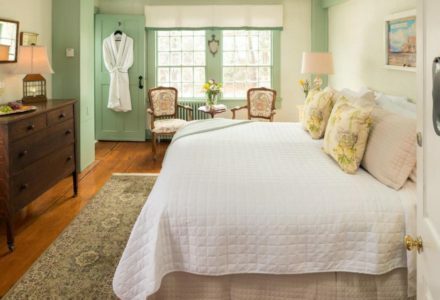 Each room is a unique mixture of antiques, original art and luxury bedding. A gourmet breakfast, prepared by the London trained chef is served community style in the dining room to give guests the opportunity to share memories of their adventures. Children Policies: We have one room available for families with children under 6. Smoking Policies: We maintain a smoke free environment.